Eastern Wyoming College and the Goshen County Economic Development Corporation have teamed up to implement a business retention and expansion program in Goshen County. This program is co-chaired by EWC President Dr. Tom Armstrong and GCED board member Cactus Covello, under the direction of Lisa Johnson, GCED Director. The purpose of this program is to retain existing businesses, help businesses with expansion plans, provide resources and support for local businesses and identify ways to improve the business climate. “I had the pleasure of being one of the founding members of the GCEDC and have seen many exciting things happen within this group, but one of the most important tasks that this group performs is that of Business Expansion and Retention. After the recent turn of events in our life, my wife and I are even more committed to seeing that the good people of Goshen County have every chance to work and prosper in their businesses here. Helping our locals to maintain or expand their business ventures in Goshen County will hopefully help and preserve the way of life we all hold so dear,” shared GCEDC board member Cactus Covello. A task force of approximately — members has been formed. This group will be contacting a sample of area businesses to participate in a survey. The survey is a Synchronist tool provided by the Wyoming Business Council. The questions on the survey are designed to gather predictive data such as a business’s growth plan, community problems or the need or desire for assistance. Data collected on the survey is confidential and will only be reported in a holistic and statistical manner. The goal of the program is to improve the business climate in Goshen County so that both new and existing businesses can prosper. Once the surveys are completed and compiled, the task force will then work to identity problems. GCED will address any short-term problems and will work with the task force to develop strategies and address long-term problems. 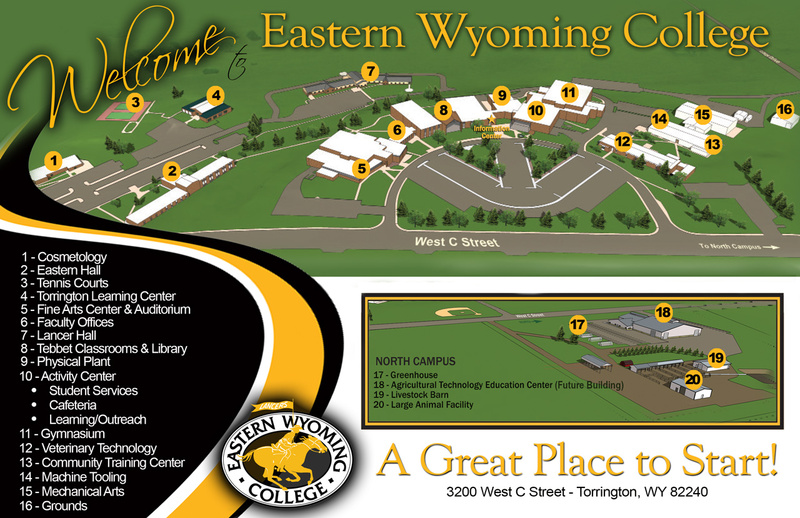 “Eastern Wyoming College provides excellent training for business and workforce needs. Having a strong college makes a strong statement to existing and emerging businesses as well as those looking to relocate here; they are assured the community is future focused and on track. The college serves as a cultural hub that supports a diverse set of programming and lifelong learning activities. EWC will continue to support efforts in Torrington and Goshen County that advance learning, economic stability, and growth. I value our people and our partnerships,” added EWC President Dr Armstrong. Task force members will continue to contact businesses to participate in this survey. Business owners who have not been contacted and would like to participate should contact the GCED office at 307.532.5162.